Great Britain will be granting Alan Turing who is widely considered to be the father of computer science and artificial intelligence a posthumous pardon . 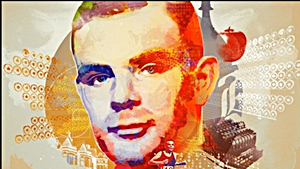 Turing committed suicide after being convicted of gross indecency under Britain’s anti-homosexuality code. The government signaled on Friday that it is prepared to support a backbench bill that would pardon Turing, who died from cyanide poisoning at the age of 41 in 1954 after he was subjected to “chemical castration”. Lord Ahmad of Wimbledon, a government whip, told peers that the government would table the third reading of the Alan Turing (statutory pardon) bill at the end of October if no amendments are made. “If nobody tables an amendment to this bill, its supporters can be assured that it will have speedy passage to the House of Commons,” Ahmad said. The announcement marks a change of heart by the government, which declined last year to grant pardons to the 49,000 gay men, now dead, who were convicted under the 1885 Criminal Law Amendment Act. They include Oscar Wilde. Turing’s homosexuality resulted in a criminal prosecution in 1952, when homosexual acts were still illegal in the United Kingdom. He accepted treatment with female hormones (chemical castration) as an alternative to prison. Turing died in 1954, just over two weeks before his 42nd birthday, from cyanide poisoning. A formal inquest determined that his death was suicide. On September 10, 2009, following an Internet campaign, British Prime Minister Gordon Brown made an official public apology on behalf of the British government for “the appalling way Turning was treated.” and in May 2012, a private member’s bill was put before the House of Lords to grant Turing a statutory pardon.